Playlists are fun. Picking out a handful of songs that elicit a mood or theme and compiling them into one homemade album of your choosing can help set the scene for pretty much any event. Birthday parties, exercising, driving, work – it’s easy to alter the aesthetic to your liking with a few simple clicks. I personally enjoy throwing together theme songs that can accompany any of my many interests. Be it reading a book, going on vacation, tossing back a few bourbons, or just unwinding and settling into a particular spirit, I probably have a playlist assigned to it. For your amusement and entertainment, here is my favorite Halloween-inspired mix tape. This one never leaves my side, with a copy in the car, one on my iPod and one in my home CD collection. It’s October year-round if I so choose. And I do so choose! Dead Man’s Party – Oingo Boingo. The ultimate Halloween rock tune – this one has it all. favorite lyric: I turn the world around with a skeleton hand. Transylvanian Concubine – Rasputina. I first heard this on a favorite episode of “Buffy the Vampire Slayer” and it’s been stuck in my head ever since. favorite lyric: Fangs ruin any cute pout. The Beast in Me – Johnny Cash. Although dealing more with inner demons than the “bump in the night” variety, it’s still an atmospheric little haunter. favorite lyric: In the twinkling of an eye might have to be restrained. Creature from the Black Lagoon – Dave Edmunds. A jangly tune about the single greatest movie monster ever created? C’mon!!! favorite lyric: The unsuspecting maiden will be clutched from where she sleeps. Joan Crawford – Blue Oyster Cult. What could be scarier than the prospect of a resurrected abusive film legend causing the apocalypse? favorite lyric: Their eyes have turned the color of frozen meat. favorite lyric: He’ll rekindle all the dreams it took you a lifetime to destroy. Scarecrow – Siouxsie and the Banshees. A rollicking, haunting ode to a Halloween staple. favorite lyric: I’ll slip away by floorboard creak. favorite lyric (you guessed it): I saw a werewolf drinking a pina colada at Trader Vics, and his hair was perfect. Undertaker – The Peculiar Pretzelmen. A musical murder mystery that is simply soul-searing. favorite lyric: The sound that fatal weapon made when pushed back in its sheath. Nosferatu – Blue Oyster Cult. The quintessential hard rock power ballad about undead romance and unrequited love. favorite lyric: My crew is dead – I fear the plague. Godzilla – Blue Oyster Cult. ‘Nuff said! favorite lyric: Oh no, there goes Tokyo – go go Godzilla! (Don’t Fear) the Reaper – Blue Oyster Cult. Face it. These guys ARE HAlloween music. favorite lyric: Came the last night of sadness, and it was clear she couldn’t go on. Tubular Bells – Mike Oldfield. I was too terrified to see “The Exorcist” as a youngster after hearing the theme song on the radio. Too. Damn. Creepy. Bela Lugosi’s Dead – Bauhaus. Brrrrr…. favorite lyric: The virginal brides file past his tomb strewn with time’s dead flowers. Funeral for a Friend – Elton John. Another instrumental, this one is pure atmosphere. When they finally lay my bones to rest, I’d like to think this will be playing in the background. The Munsters Theme – Various. I’ve honestly never heard a bad version of this song, which always puts a crooked smile on my face as it evokes memories of creepy cool! Delilah – Tom Jones. Simply the finest song about jealous rage ever laid down to vinyl! favorite lyric: I felt the knife in my hand and she laughed no more. Swamp Witch – Jim Stafford. A fairly creepy tune from a guy mainly known for lighter fare. favorite lyric: Snakes hang thick from the cypress tress like sausage on a smokehouse wall. Pet Sematary – The Ramones. I can’t get enough of this song! It’s pure horror magic, Ramones-style!!! favorite lyric: I don’t want to live my life again. Halloween Goodies All Year Long! Although Halloween is still ten months away, for the pure of heart the season never seems to go away. They eat, drink, sleep, breath and literally live All Hallow’s every day of the year (want a real treat? Take a peek at the true Halloween fan’s Christmas tree!). But how does the discerning Halloweener satisfy that October craving in the dead of winter? 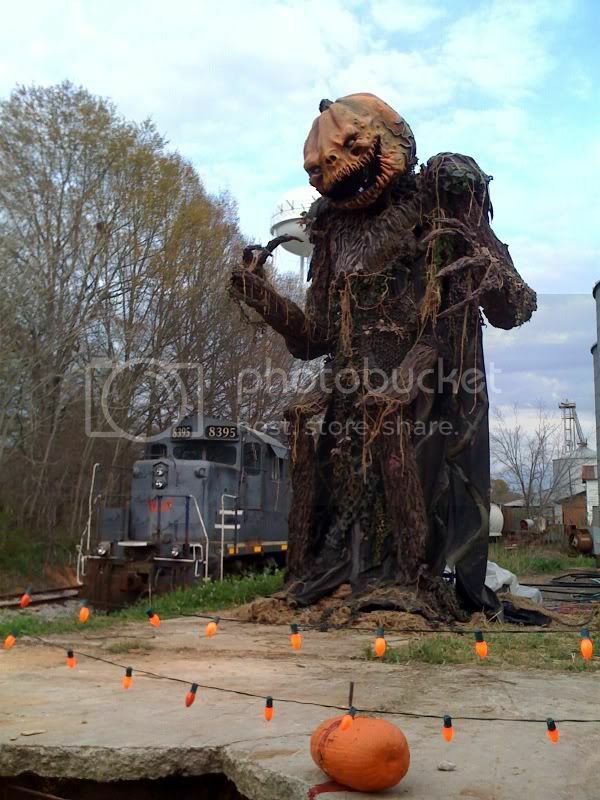 By turning to a few key sites and stops that cater to the haunt crowd year-round. Be it film, television, music, art, fashion, design or literature, there are any number of genuinely unique and exciting places to get your post- or pre-holiday fix. This week we’ll take a look at what the art world has to offer, and how a few well-placed pieces of spooky imagery can fill your crypt with the Halloween aesthetic a full 365 per year!If you’re looking to deck the walls with boughs of scary, there are some amazing artists on the web churning out fine art with a devilish slant. If creepy is your bag, then you may enjoy the cartoonish ghouls of Eric Pigors at www.toxictoons.com. Featuring everything from fine art prints to t-shirts to toys to stickers and much more, Unkle Pigors (a former Disney animator and lover of all things ghastly) delivers a smorgasbord of fiendish fun. Prefer a more retro style? You can find some incredible fine art prints by Ragnar at http://www.vegalleries.com/RagnarPhantomime.html Featuring a very stylized take with a vintage Ben Cooper influence, this series of images is simply stunning to behold. You’ll want to explore the site a bit for a nice selection of Halloween (and non-Halloween) themed works by a true modern master. Visit Ragnar’s official site at www.littlecartoons.com. Another outstanding creator of macabre art is Jeff Preston (http://jeffpreston.net). A gifted painter with a love of old-school horror, Preston is a talent whose work ranks right up there with the likes of Basil Gogos, Frank Frazetta and Norman Rockwell (yeah – he’s THAT good!). If you’re a comic book geek, you may already be familiar with Eric Powell and his award-winning series “The Goon” (if not, get to your local shop and scoop up some of these highly entertaining stories). Powell offers up a truly original blend of horror and redneck humor with his compelling comic masterpiece. Learn more about Eric Powell and The Goon – and pick up some fun merch – at www.thegoon.com. If none of these fine folks are your particular cup of poison, a quick search for “Halloween” or “horror” on Deviant ART can provide you with any number of interesting art options. A collective of illustrators, sculptors, photographers, digital painters and more, ranging from novice to professional, Deviant ART is an endless resource of talent. Many members offer prints of their work for sale on the site, in addition to online galleries. www.deviantart.com. Once you’ve settled on that perfect piece – or pieces – to adorn your own haunted home, the next step is finding the perfect frame design to compliment your choice. While a visit to your neighborhood frame shop can provide any number of matte and molding combinations, narrowing your options down to one final layout can often be mind-numbing. Should that prove to be the case, you can feel comfortable in handing the job over to the masters at Frame Fetish www.framefetish.com. Fast, reliable, and – most importantly – honest, Frame Fetish can turn any work of art into a unique treasure that is guaranteed to enhance your presentation tenfold. Perhaps something a bit more three-dimensional is in order. Then you owe it to yourself to get acquainted with sculptor/painter Tom Taggart www.tomtaggart.com. Taggart’s whimsical sculptures, clocks and ornaments are a fantastic way to spice up your collection with a vast array of display-ready artwork unlike anything found anywhere else. The uber-talented Doktor A. is another master working in both the 2D and 3D arenas. Widely recognized as one of today’s premier toy customizers, the good Doktor has produced a fine assortment of limited edition art figures and fine art prints. Discover this crafty chap at www.spookypop.com. These are but a few examples of the ever-growing community of talented individuals catering to the scream scene. If you’ve come to the conclusion that your home or office could use a healthy dose of a Halloween-inspired makeover, this is as good a place as any to start!